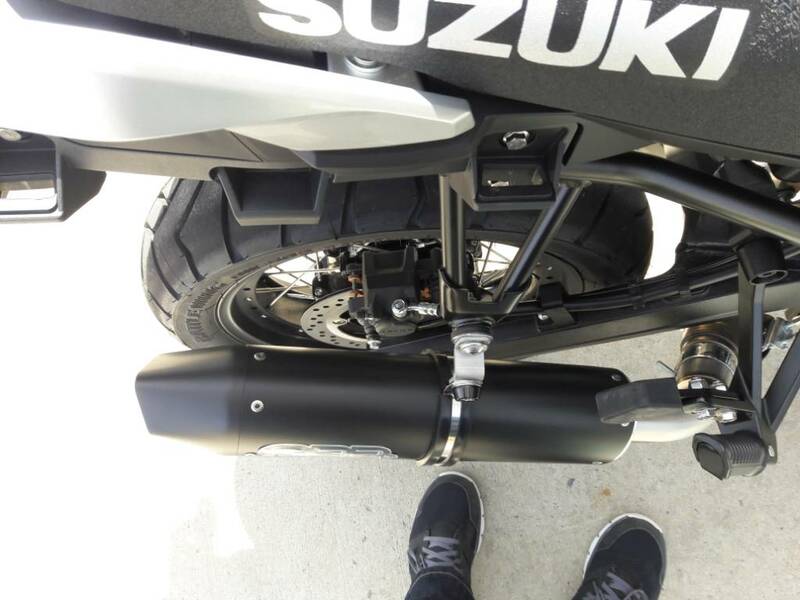 Stromtrooper Forum : Suzuki V-Strom Motorcycle Forums > Popular Forums > DL1000A - 2017+ > GPR exhaust slip on. 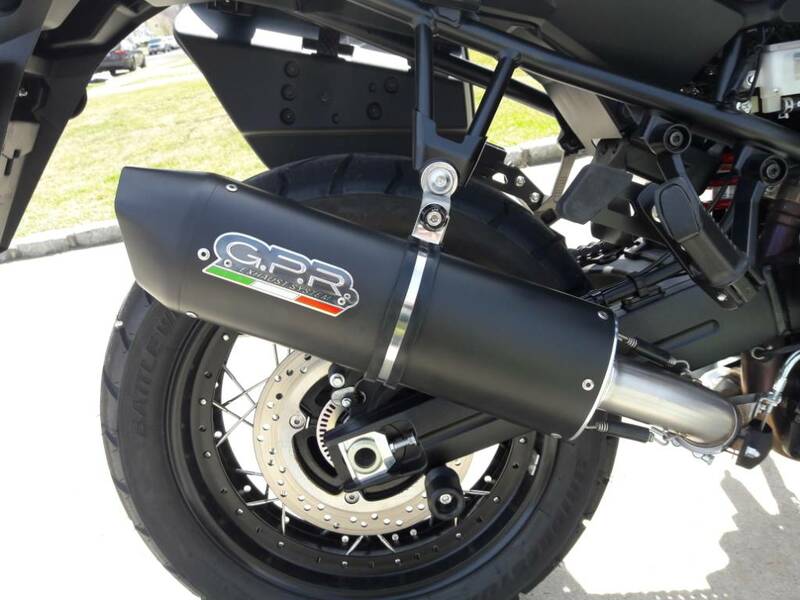 Just installed this GPR slip on today. Sounds great compared to that monstrosity of a stock can. 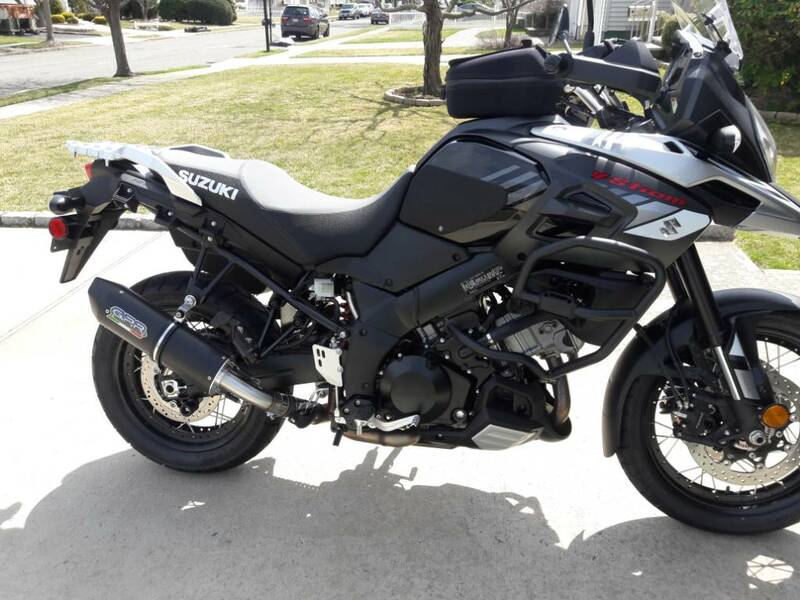 Did a ride with and without baffles. Decided to leave baffles out. I'll try posting up a sound clip. Lrobby99, 406RIDER and branthopolis like this. Small sound clip using a cell phone. Lrobby99 and Vindex1963 like this. I want one too, but cops here are cracking down on anything that looks or sounds different from stock. It's legal with the baffles in. I don't think too many cops will break your chops on a V strom to begin with. Are you located in the commie state of California, lol. I actually ended up putting one of the two baffles back in. Nah i'm in canada, my province doesn't like motorcycles. You must live in Québec...where you can do nothing!. I'm there too. Null 13 and Railrocker like this. Nice bike...nice bark! "They" don't like bikes in Manitoba either, despite the fact that we can only ride them 5-6 months of the year. Ghastly insurance rates! I feel bad for my Canadian neighbors to the north. 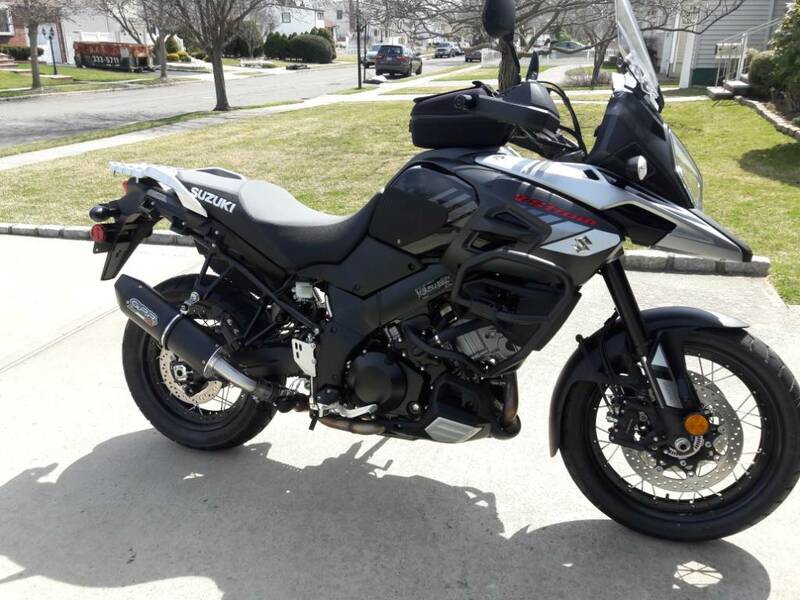 I've been riding for 30 years now and have had a aftermarket exhaust on every bike but two and have never been pulled over for exhaust ever. Not even one check in my entire lifetime. I've have over 20 motorcycles ranging from Harleys, Japanese standards and sport bikes and English bikes. Never had an Italian bike. I’m in Quebec on the Montreal South shore. The pin head keystone cops here will pull you over and pull out a decimeter. 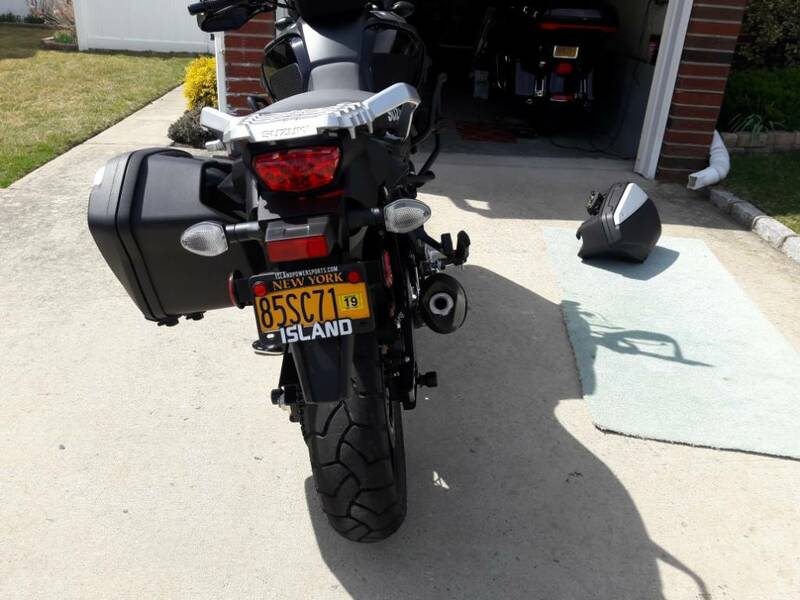 Thats only after they spend an hour in a parking lot checking for unlocked car doors.. a 60.00 touch per.. Then there is the $660 annual motorcycle plate charge... okay I’m done moaning. Have a great moto summer!